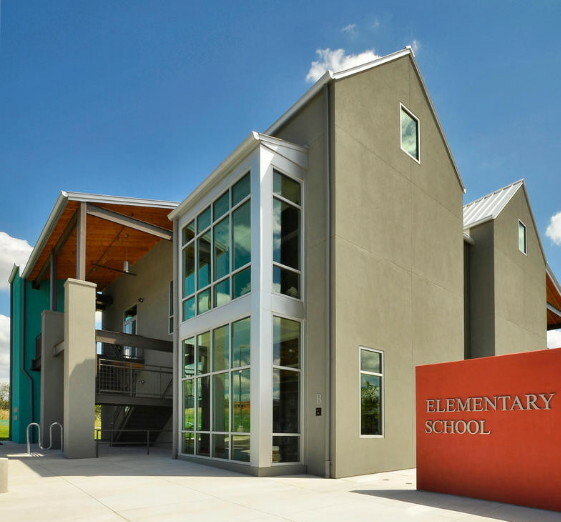 h+uo architects provided Phase I and Phase II of the sustainably designed Acton Academy, located along Alexander Avenue in East Austin. The project included an Elementary School, Middle School, High School Classroom, each 3,500 square feet. The new school fuses modern design with the old schoolhouse design. Each of the buildings that form the campus contain large open spaces that can be opened to the large outdoor decks. The airy and open spaces promote an interactive learning experience for the students.